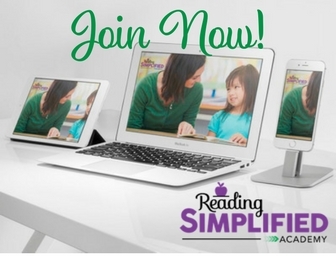 ​​​We talk about beginners and struggling readers a lot here on Reading Simplified. But not all kids struggle to get the code. Some readers accelerate faster than other members of the classroom, and it’s important to support this rapid growth so that they can become even better readers. We need to think about our readers and the stage they’re currently in. After all, not every student needs the same level of instruction, which is why we have to refine our teaching methods so that we get more out of that instructional time. 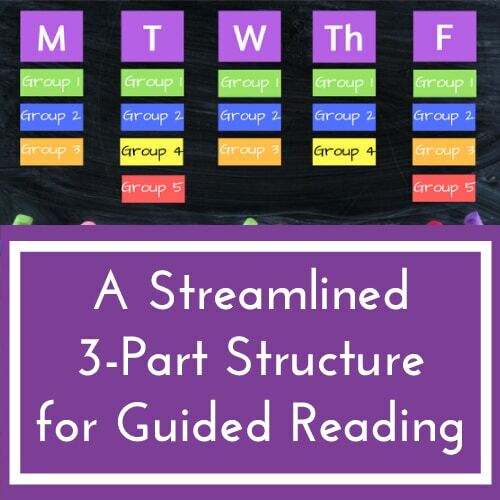 In this blog post, we’re going to talk about guided reading instruction for high flyer students. As you can see, time is represented by the arrow running along the bottom of the image. As your readers progress from beginners to more advanced, you can move them across the page from left to right. Everything you see in the center of the model is surrounded by a big blue ocean that represents comprehension and vocabulary. The first giant domain we need to work on is decoding because you need an excellent decoding foundation to be a good reader. Up next are those high-frequency words we all know and love. It’s an important instructional element and integrates with fluency. 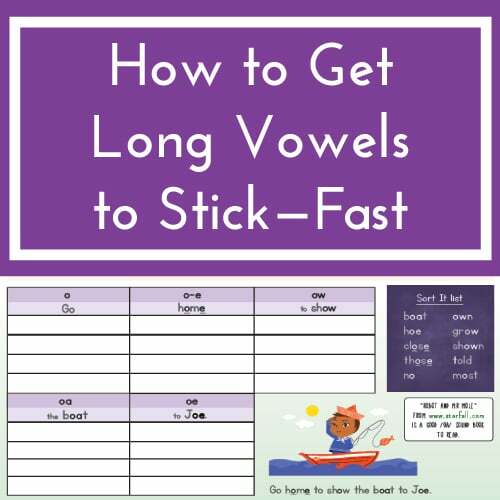 As kids progress, you can begin adding more high-frequency words. When decoding and fluency are well established, you can start emphasizing affixes and roots (such as prefixes and suffixes). Readers will continue to advance until you shift the focus more on comprehension and vocabulary, which is advanced literacy. In the early stages of reading, you provide students with the basics of the English language. But, if you want them to become sophisticated readers and thinkers, they need to learn a lot more about comprehension and vocabulary. How many times have you been in the middle of teaching your students and noticed a few at the back starting to doze off? Maybe they don’t want to engage with the lesson, or they’re expressing some resistance to reading? What can you do to help engage and motivate your students? 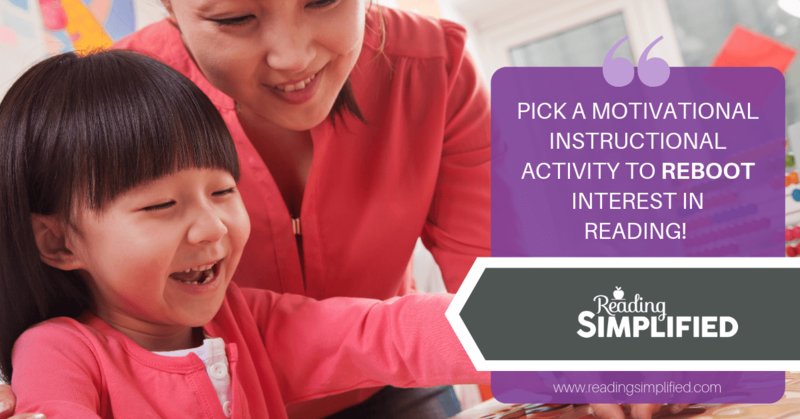 First, you need to consider your students most pressing need and then choose an instructional activity based on the need of motivation to help reboot their interest. Remember – motivation and engagement need to take the precedence when we make instructional decisions. If our student’s motivation starts to dip, we’re in trouble! Without motivation, students won’t want to engage with the lesson and will begin to resist. So, it’s up to you to re-engage them and help create a love of reading that they’ll carry with them throughout their lives. 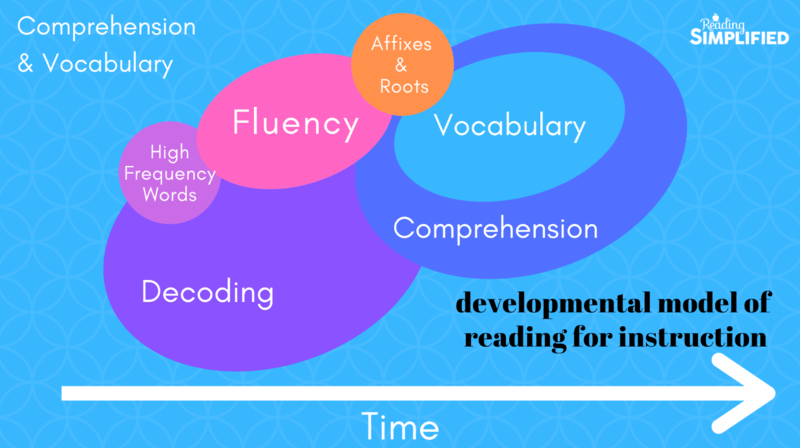 At the basic literacy stage, most of the reading instruction is focused on decoding. At Reading Simplified, this is the stage where we focus on core activities designed to help kids decode and become fluent readers rapidly. Our decoding activities include Switch it, Read It, Sort It, Guided Reading (mostly decodable texts) and Write It. However, you should also pay attention to developing your student's comprehension and vocabulary in the early stages of decoding. 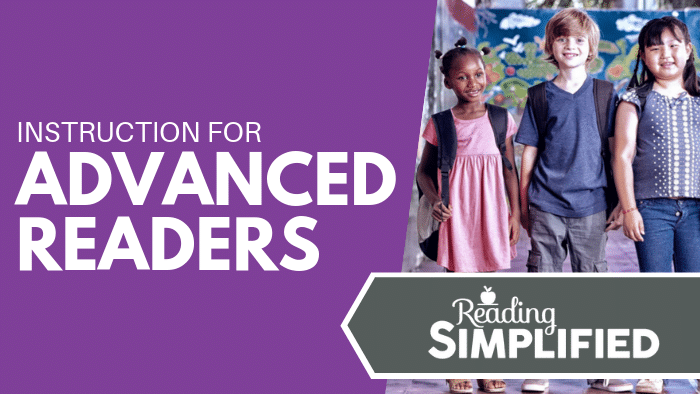 But what will you (the teacher) do with advanced readers? When your students move towards advanced literacy, you’ve got to up the ante and focus a lot of instructional time on expanding comprehension and vocabulary. When you have strong readers in your classroom, it’s important to encourage them to keep reading and to read more difficult texts. Introduce them to both fiction and non-fiction books and let them engross themselves in their reading. After all, the more they read, the more they’ll learn about the world around them! A word of caution! 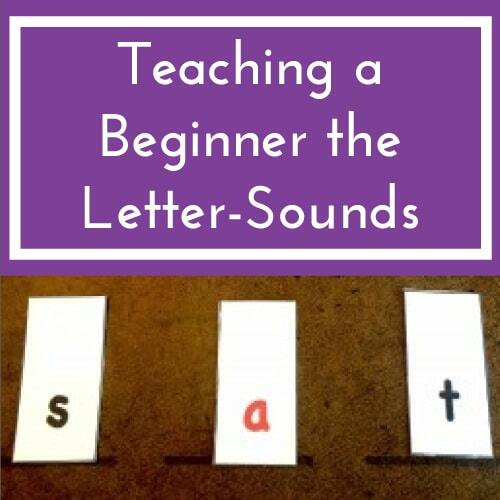 Some of your students may be at this advanced literacy level, but they could also have weak sound-based decoding. What’s likely to have carried them this far is their super strong sight vocabulary and excellent visual memory skills. If you’re worried that a student may have weak sound-based decoding, you can do a quick check with a nonsense word test. The test will be able to tell you whether or not they’re having issues, which is important to detect as early as possible. 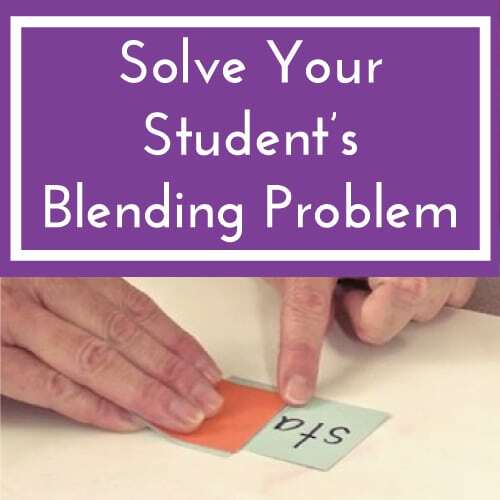 The reason for this is due to the fact that as the student progresses to higher reading levels, they’ll encounter more multi-syllable words and may not have the system in place to tackle such words. What to do for Advanced Literacy Kids? This is one of the most important things for readers to comprehend. Learning how to summarize text that they have read helps students learn how to discern key ideas from irrelevant information. 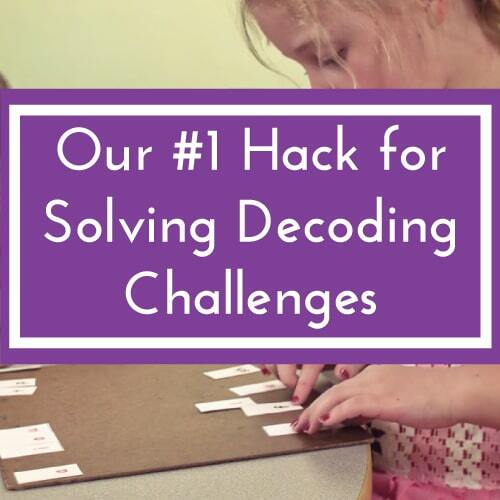 Give your kids something that’s challenging for them to read and ask them to summarize it. This will help support them in their understanding of a passage or piece of text. Increase comprehension skills by focusing on comprehension strategies such as the strategy of making a prediction and metacognition practice. Metacognition strategies help students better understand the way they learn and encourages them to “think about their thinking” to help enhance their comprehension skills. Introducing a variety of different text types is one of the best ways to streamline kid’s understanding of comprehension. Some examples include text that only lists details, compare and contrast text and chronologies. Throw some more non-fiction texts into the mix because that’s the type of reading material that pushes kid’s brains, broadens their minds and enhances their vocabulary! Writing is a great developer of comprehension. If you can read something and then respond expressively in writing about it, it shows that you’ve reached a high level of comprehension and understanding. Advanced readers can have a lot of fun with research projects. They can explore an interesting topic by reading about it and putting the information together in a creative way that helps to improve their critical thinking and writing skills. Book clubs and literacy circles are great for advanced readers to explore more challenging texts in a social group setting. It also gives them a chance to discuss what they’ve read and vocalize their thoughts and opinions to other students in the reading group. Create a Love of Reading! When you’ve got advanced readers in your classroom, it’s important to try and increase their love for reading. You can do this by encouraging them to read more widely by selecting books that they find interesting, increasing their exposure to different genres and get them to do it a lot!